Semiconductors are in trend, there’s no doubt about that, and while the superstars such as Intel or Micron are skyrocketing, other smaller companies are following this trend. One of them is a small-cap: Xcerra Corporation (NASDAQ: XCRA). In my previous article I have anticipated a trendy behavior of top semiconductor ETF – VanEck Vectors Semiconductor – which swang up and thus, we are sitting already on reasonable profit. I have also talked about Xilinx, which increased 10% after that. Now the stock price dropped due to larger future spending announced. I wouldn’t say this is a reason to sell in long-term. This is actually a great pullback to the current support level and an opportunity to buy more. The swing traders may take a profit (still nice 5% in 20 days) and look for other opportunities elsewhere. At the moment, the VanEck Vectors Semiconductor ETF halted its swing-up and the ETF is forming a short-term consolidation in shape of the flag pattern. Once it completes the price is likely continuing its path up. Xcerra provides testing and handling equipment, interface products, test fixtures and other services to the semiconductor industry. The last four reported earnings have beaten the estimates. Xcerra has managed to triple its price in recent two years. The price behavior is steady and trendy with technical confirmations. 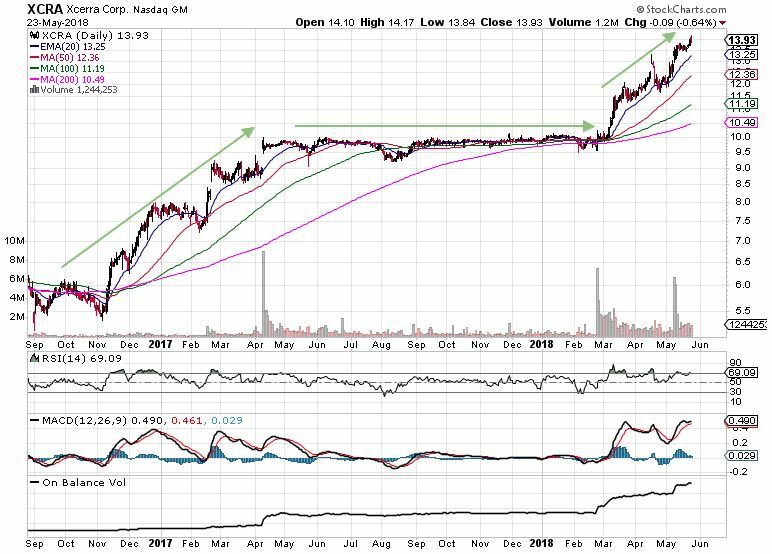 The company has broken from a year-long consolidation in March 2018 and started another bull run with a significant likelihood of sliding the 20 EMA. Furthermore, the recent breakout is actually a pierce through a 10 years old resistance. This is an important fact that can drive the price in the sky. 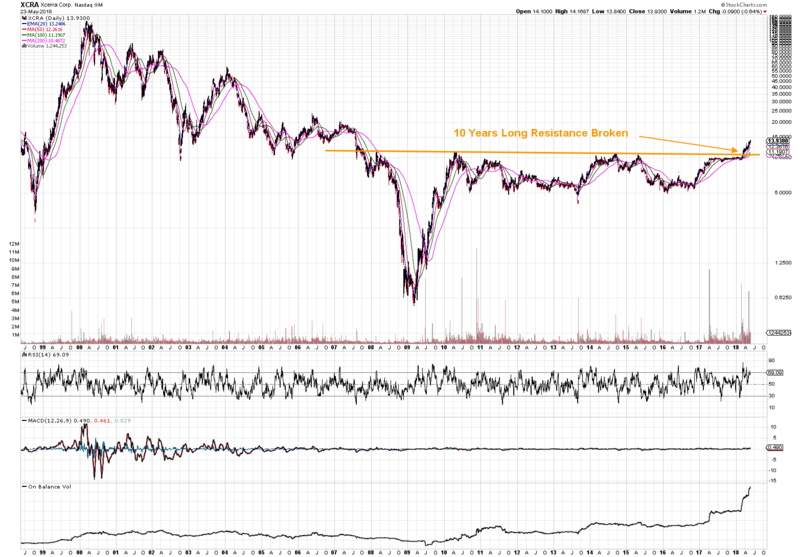 RSI – nicely moving between 50 and 80 levels. MACD – No Comment – just as we want it to be. On Balance Volume – The highest in history confirming extreme interest from the investors. Volume – significantly increased during the last months. Xcerra, as well as semiconductors industry, signifies a great opportunity for both long-term and short-term investors. The stock applies well to trend following strategy. So do not forget to stay disciplined and focused on the big picture! This post is only an opinion of a contributor. It serves for informative and educational purposes only. The article is not an investment recommendation. Trading any financial instrument involves risk and thus, you should consult every financial decision with your financial advisor. Read our full disclaimer! Real Market Rally or Christmas Fling?